Successfully Added Zidoo X8 TV Box - Android 6.0, HDMI 2.0, Realtek RTD1295, 2GB RAM, HDMI In PVR, 4Kx2K, ZDMC Kodi 16.0, DLNA, Airplay, Miracast to your Shopping Cart. Zidoo ZDMC media player utilizes Kodi 16 for thousands of channels packed with free content. 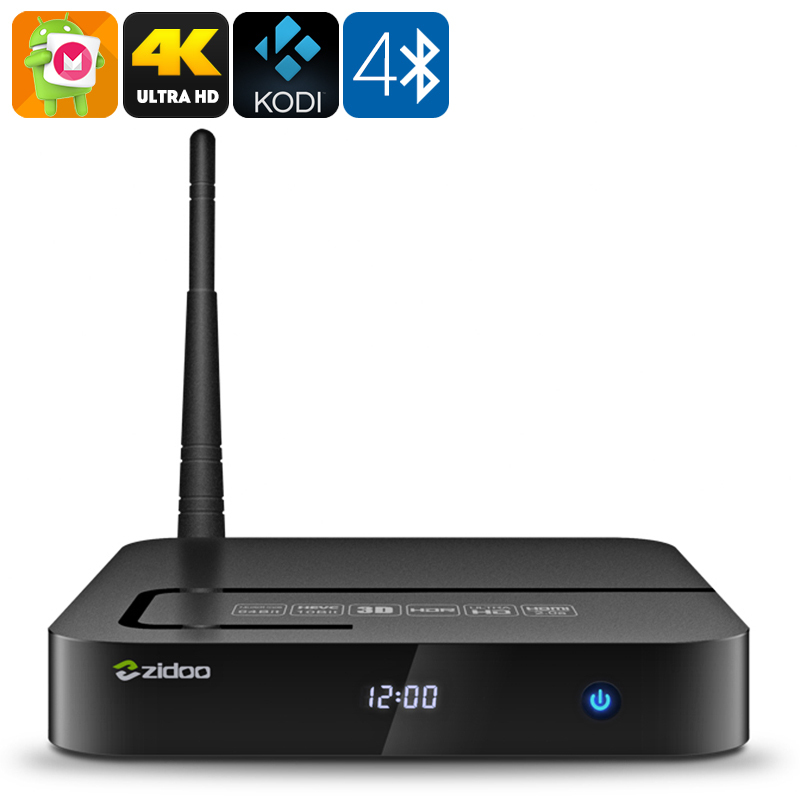 Meet the Zidoo X8 TV box - powered by a quad-core Realtek SoC and with 2GB or RAM the X8 Android TV box is an affordable home entertainment system that can do it all. An HDMI 2.0 port allows the Zidoo X8 TV box to support 4K outputs while the ARM Mali T820 MP3 GPU delivers high-quality image processing for a smooth performance in displaying all your media be it the latest games or blockbuster movies. There's a HDMI in port as well for PIP function via UDP making in one of only a few TV boxes capable of supporting HDMI in PVR time shift and playback in 1080P. Running on Android 6.0 there is no shortage of media applications available such as Netflix and Hula. Additionally, the X8 media box comes with the Zidoo ZDMC media player pre-installed, based on Kodi 16.0 it provides access to thousands of channels from around the world, so there's never a shortage of entertainment to be had from this TV box. This sleek little media player has a host of ports including 3 USB ports, 1 of which is USB 3.0 for delivering faster data speeds while the other 2 are HDMI 2.0 which allows for additional storage such as u disks. The on board storage can also be complemented with the micro SD card slot allowing an extra 32GB of memory to be added. With an optical port you will get crystal-clear audio to match the high-res images supported on this device, and with gigabit Ethernet and dual-band WIFI you can enjoy faster data connectivity with or without cables. The Zidoo X8 TV box come with 12 months warranty, brought to you by the leader in electronic devices as well as wholesale TV boxes..